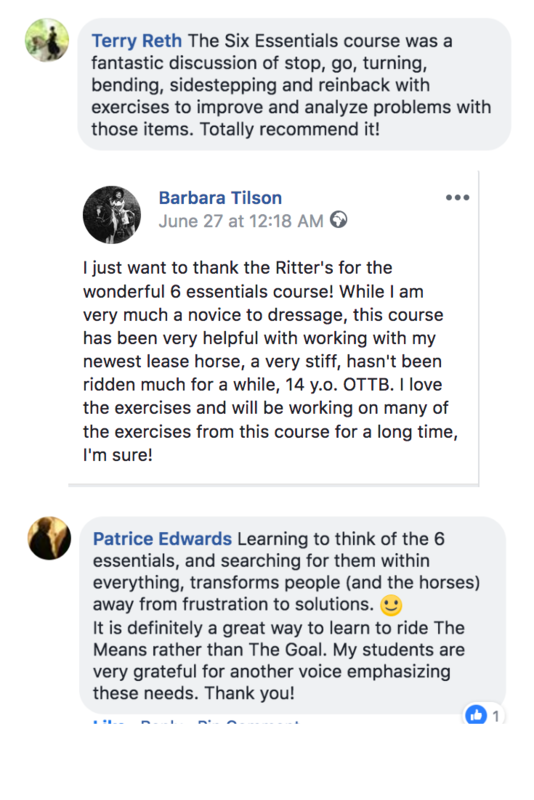 There are 6 core essentials that comprise everything that we do in Dressage. 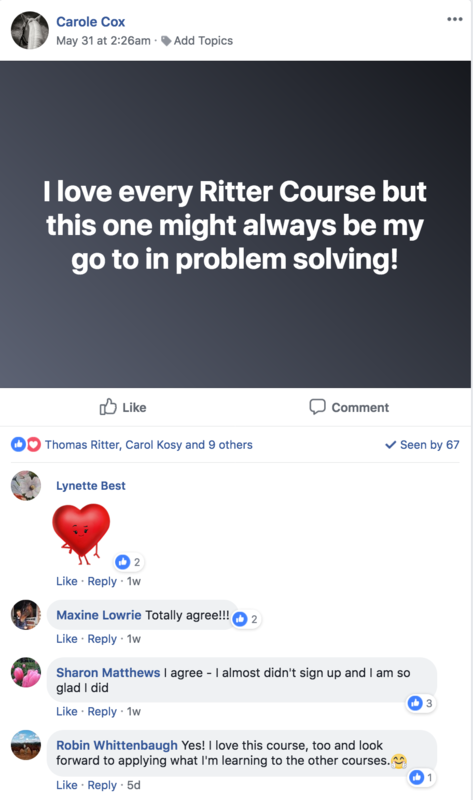 Like raw ingredients that can be formulated differently to create entirely different meals, each of these 6 basic raw "ingredients" that we use in the dressage training can be combined to form every dressage movement and exercise that we ride. 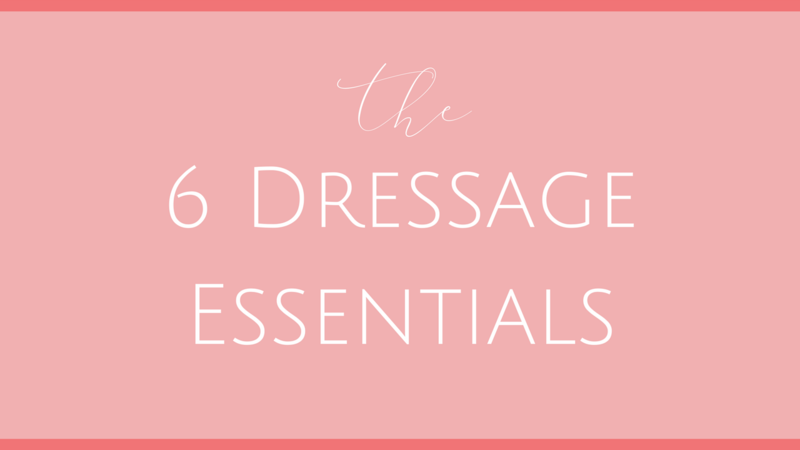 EVERY THING you do or ride in Dressage comes from these 6 essentials. Even the Olympic dressage tests don’t contain any additional elements besides these. 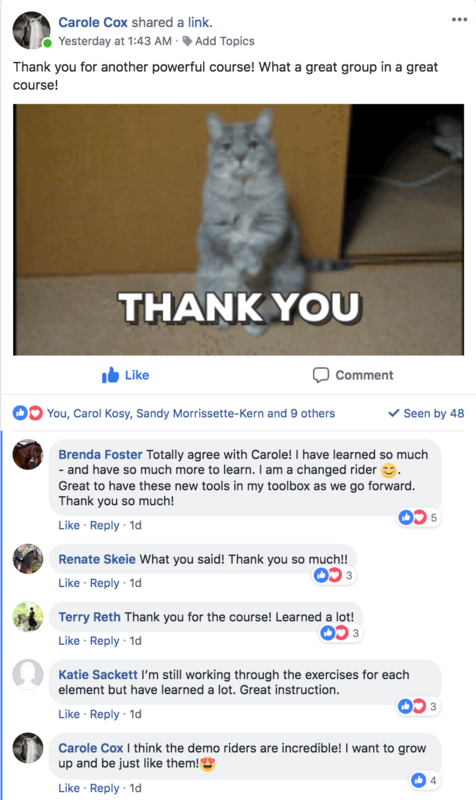 In this course we dive deep into exploring the 6 biomechanical essentials which form the foundation for every dressage movement. - Why is it "essential"
- Exercises for each "Essential"